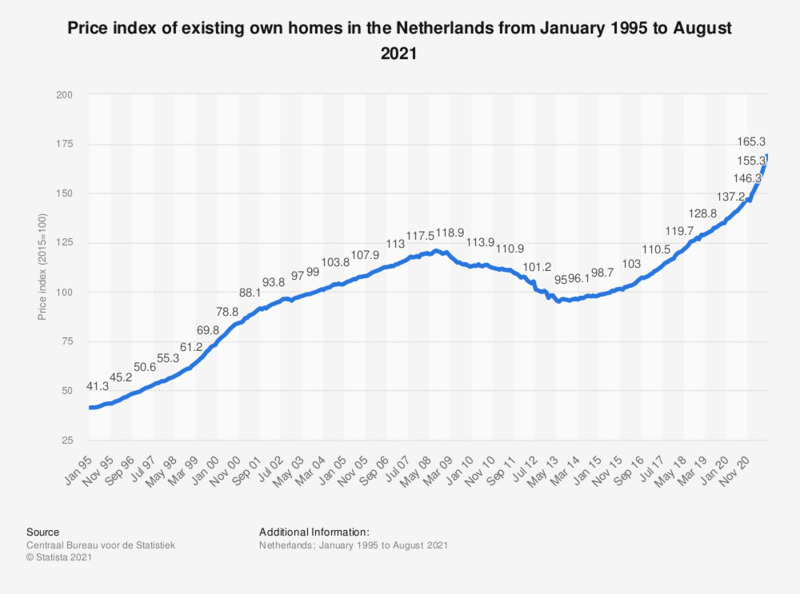 This statistic shows the price index of existing own homes in the Netherlands from September 2016 to September 2018. In September 2018, the index reached a value of approximately 125.7. According to the source, 'the price index of existing own homes shows the price movements of the stock of existing own homes. The dwelling is located on Dutch territory and sold by private buyers'.